The prime minister said that he looks forward to receiving French President Emmanuel Macron in India at his earliest convenience. NEW DELHI: The India-France strategic partnership is not limited to bilateral ties but acts as a force for peace and stability in the regional and global context as well, Prime Minister Narendra Modi said today. He also said that he looks forward to receiving French President Emmanuel Macron in India at his earliest convenience. He made these remarks when French Minister for Foreign Affairs Jean-Yves Le Drian called on him here today. The visiting dignitary briefed the prime minister on recent developments in the bilateral relationship as follow-up to Modi's visit to France in June, 2017. The prime minister appreciated the contribution of Le Drian to the growing India-France engagement in his current role as well as in his earlier role as Defence Minister of France, an offcial statement said. 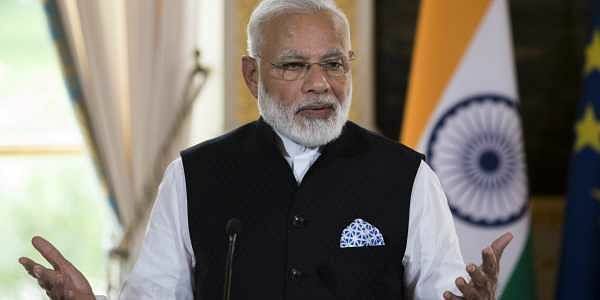 "The prime minister said that the significance of IndiaFrance Strategic Partnership is not limited to the bilateral context, but acts as a force for peace and stability in the regional and global context as well," it said.